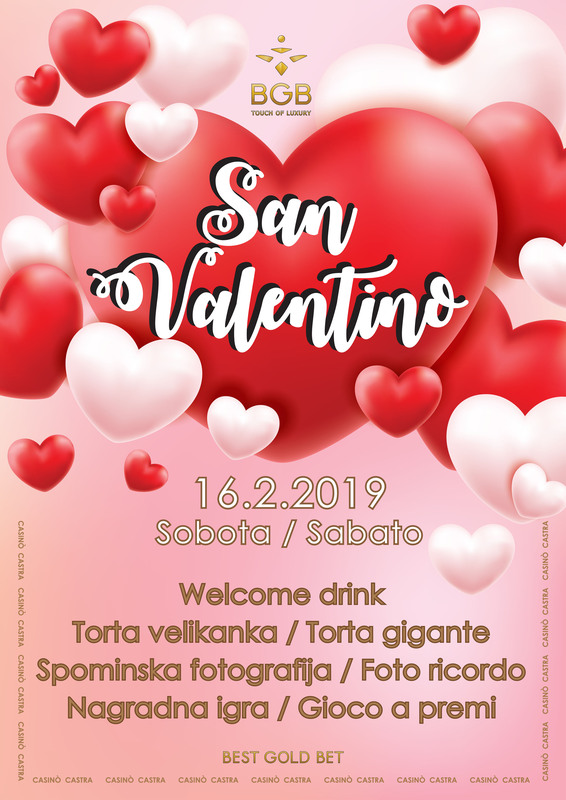 Valentine’s Day – saturday 16/2/2019 at Casino Castra. – Prize game with the very rich prize money. Do not miss the Casinò Castra!